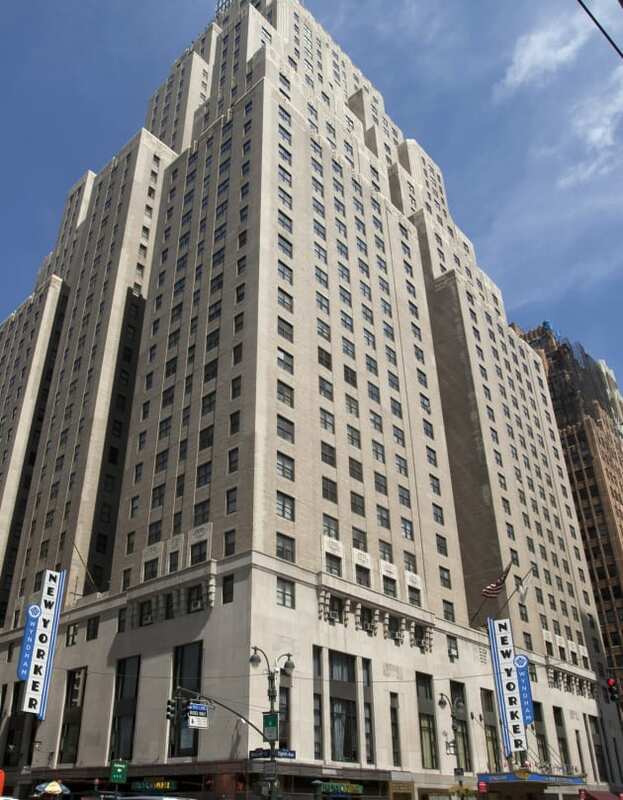 An Art Deco icon, the 3-star The New Yorker, A Wyndham Hotel is found in midtown Manhattan, within walking distance of Madison Square Garden, Times Square and Macy’s. 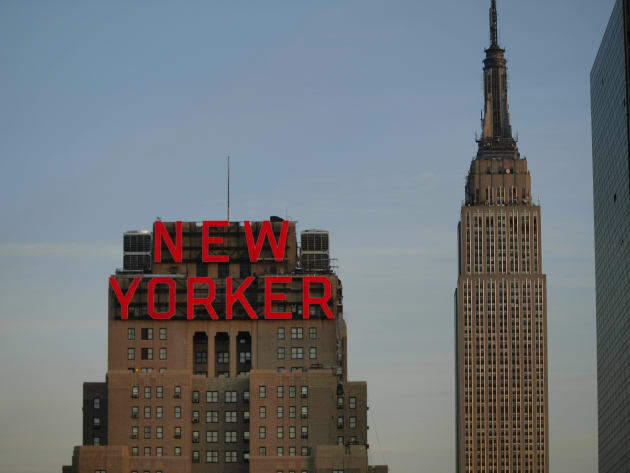 Enjoy authentic regional cuisine, excellent seafood and cool cocktails at Cooper’s Tavern, real American comfort food at the Tick Tock Diner and breakfast with a view in the Sky Lounge; you can work off the calories in the hotel's gym. Relax in your guestroom with free wifi, a flat-screen TV and en-suite bathroom with hairdryer. Authentic New York diner, open daily around the clock. Menu includes about 20 varieties of omelettes; 10 kinds of pancakes; and a great selection of salads, sandwiches, burgers, wraps, pies, and cakes. Ample booth seating. Shiny chrome columns, black-and-white checkered floors, Art Deco design elements.Casual spot for coffee, espresso, cappuccino, pastries, and snacks. Located in lobby. Open early morning until early evening.Semi-formal restaurant and bar located on the first floor offering regional American cuisine. Open for lunch and dinner. Sitting in Midtown Manhattan, close to Penn Station Metro stop and just a few blocks from Time Square, this 3-star hotel is perfectly located for both business and pleasure. Dine in two restaurants; an informal trattoria, serving pasta and fine wine and an American diner, serving New York classics. Business guests can use a selection of function suites with capacities up to 700 guests. 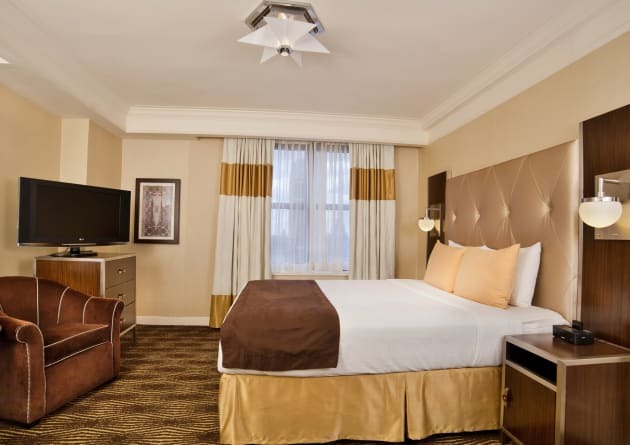 Art Deco-style rooms have a flatscreen TV with cable channels, complimentary wi-fi and air conditioning. Enjoy recreation amenities such as a fitness center or take in the view from a garden. Additional amenities at this hotel include complimentary wireless Internet access, concierge services, and a television in a common area. 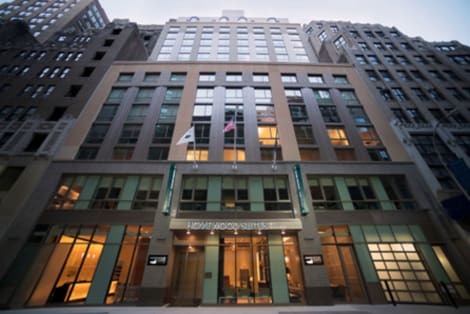 Whether you're here on business or vacation, you'll find all the comforts of home in a great location at the Homewood Suites by Hilton New York/Midtown Manhattan Times Square-South, NY, hotel. Our all-suite Manhattan hotel is just one block from Times Square and offers easy access to art venues, theaters, premier shopping, world class dining options and iconic NYC attractions; including Radio City Music Hall, Broadway, The Museum of Modern Art (MOMA) and Central Park.Feel at home in a spacious studio, one or two-bedroom suite at this extended-stay NYC hotel, loaded with carefully considered amenities. Stay in touch with the office and family with complimentary WiFi, watch a show on your HDTVs and prepare meals in the fully equipped kitchen. Buy snacks and travel essentials in the 24-hour Suite Shop, take advantage of our convenient grocery shopping service, complimentary WiFi and on-site laundry. Prepare for a busy day with a complimentary, hot full breakfast.Maintain your exercise regime in our extensive fitness center or unwind in the peaceful exterior garden area. 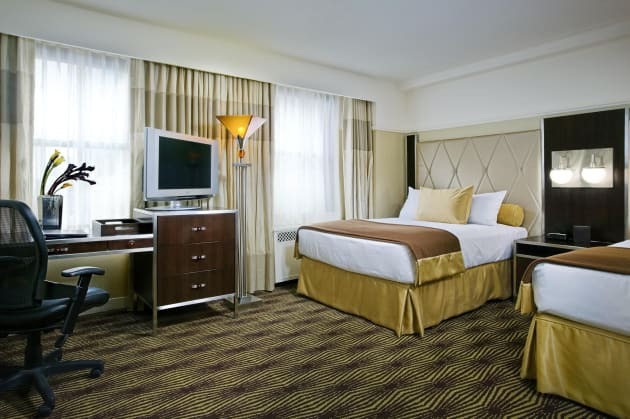 The complimentary 24-hour business center offers an array of equipment and useful services to help you keep on top of work during your stay at this all-suite Manhattan hotel. Our friendly team members will be happy to help you organize meetings, training seminars and social events in our boardroom or spacious meeting room.